Combining the classic outline of everyone’s favourite Bug with new entertainment, comfort and safety features, the refreshed Beetle is set to bring happiness and excitement to discerning drivers both young and old. 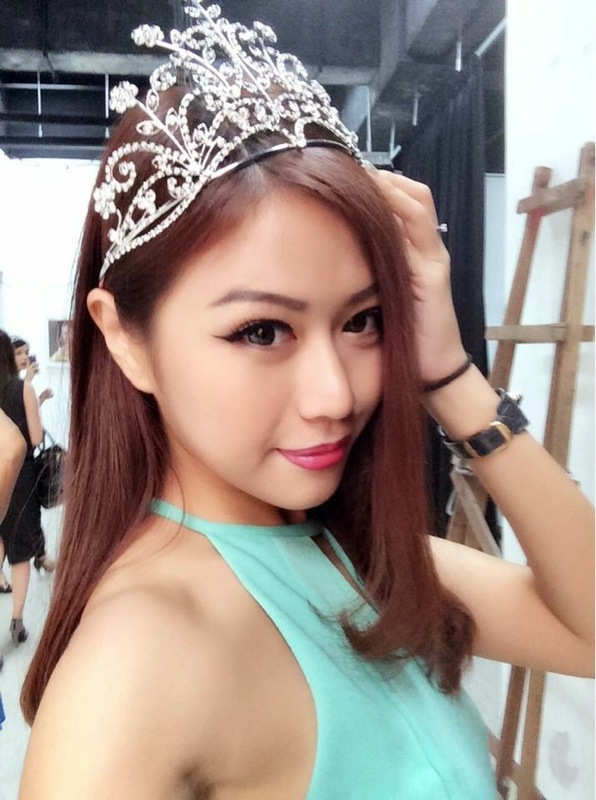 2014 would be a great year for me, I am very thankful to be in the Miss Global International Malaysia 2014/15 finalist and I am crowned to be the Miss Supranational Malaysia 2014/15! 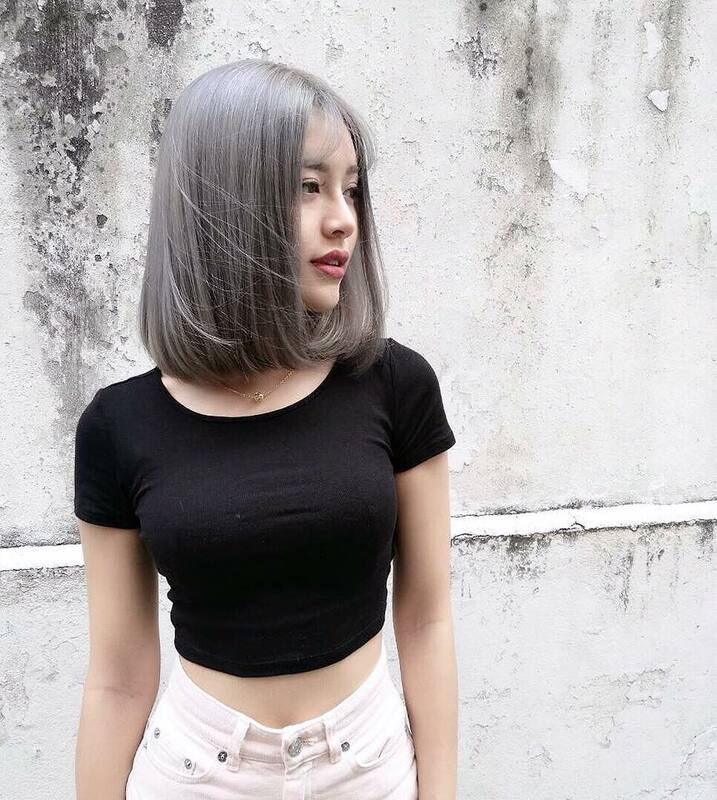 Aside from that, I will be pretty hectic travelling around for jobs and appearances and the most exciting is that I will be representing Malaysia in Poland during November and December this year. 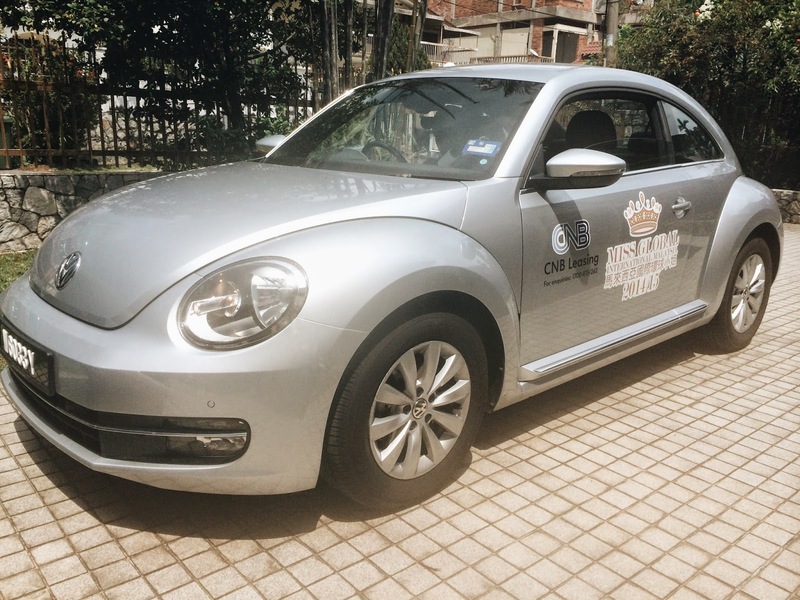 In this competition, I am very grateful to be selected in one of the subtitle too which is Miss Volkswagen 2014 & I am given a chance to drive the Volkswagen Beetle 1.2! 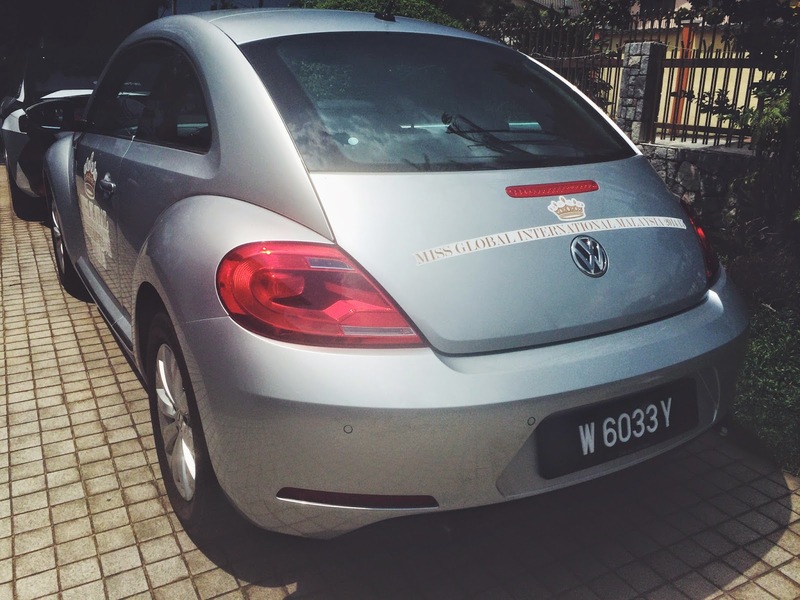 The day I received the Volkswagen Beetle is the day I am going to Berita Harian for media interview and photoshoot. Thank You CNB Auto Volkswagen for the opportunity drive. 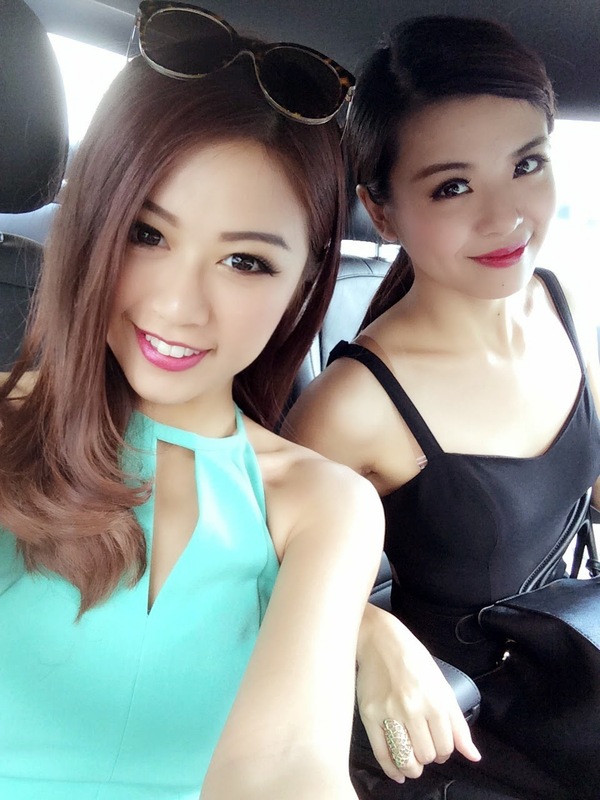 I am fetching Wendy Foo ( Miss Globe International Malaysia 2014/15 winner ) together to go for the media interview. 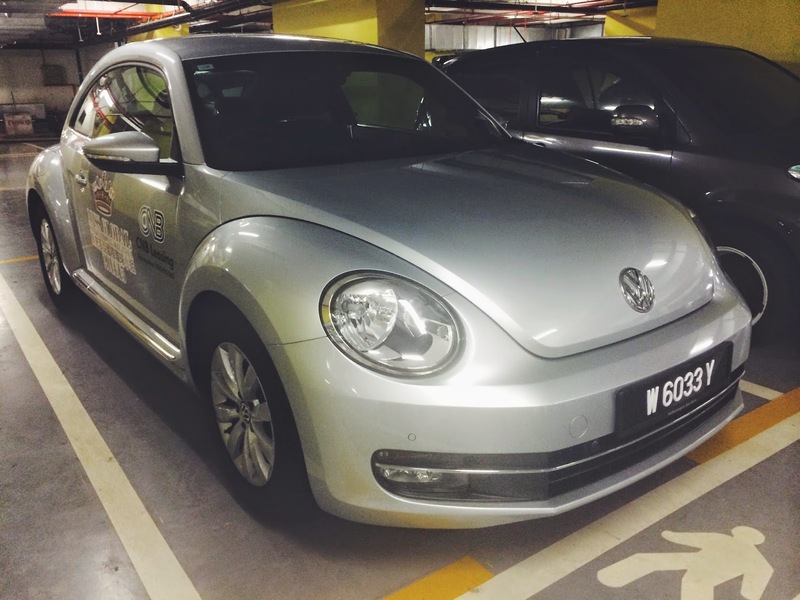 It is my first time driving a VW Beetle and surprisingly the car is spacious. I love the car boot because it has enough space for me to put in my luggage bags and other boxes. I am quite fail in parking, I mean yes I am telling the truth here but surprisingly I drove the car to Bangsar Village and Scott Garden where there are always full with cars therefore I am quite * paiseh * when others are waiting for me to do a simple reverse parking. I totally have no problem with any parking spot with VW Beetle! 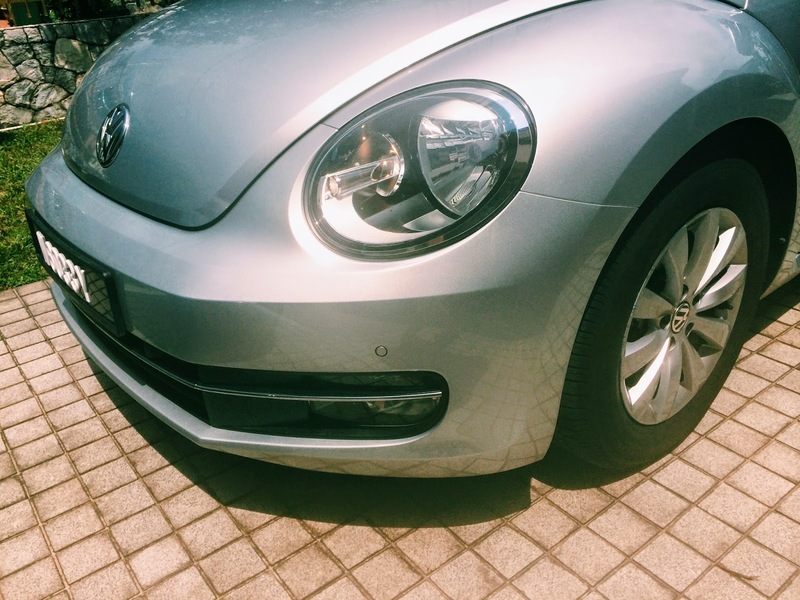 I just fall in love the VW Beetle bug eyes *. 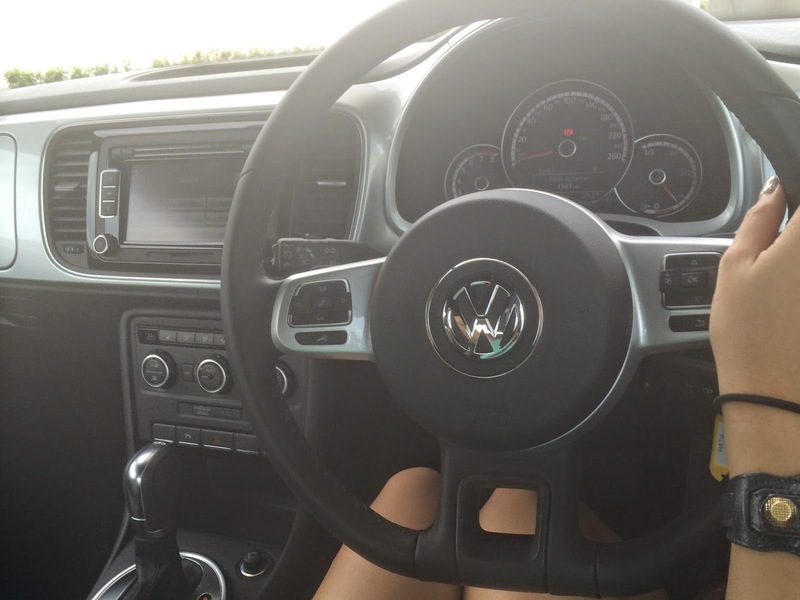 * Such a sweet car that do really suitable for a girl like me. Below are the bits of details and specification for the New Beetle. The Beetle comes with a 1.2l TSI direct petrol injection turbocharged engine mated to a 7-speed Direct Shift Gearbox (DSG). This turbo-charged motor pumps out 105PS and 175Nm of torque, between 1,550 and 4,100rpm; enabling the car to reach 100km/h in 10.9 seconds and goes all the way to its top speed of 180km/h. Despite excellent acceleration performance, this classic bug still returns remarkable fuel consumption with 5.9 litres/100km (or 16.9km/litre) on the combined cycle. As with all Volkswagen vehicles, driver and passenger safety is always a priority with a host of uncompromising safety features, which has resulted in the Beetle receiving the highest possible Euro NCAP 5-star rating. New in the Beetle is its anti-theft alarm system with electronic immobiliser which offers maximum protection against vehicle theft. 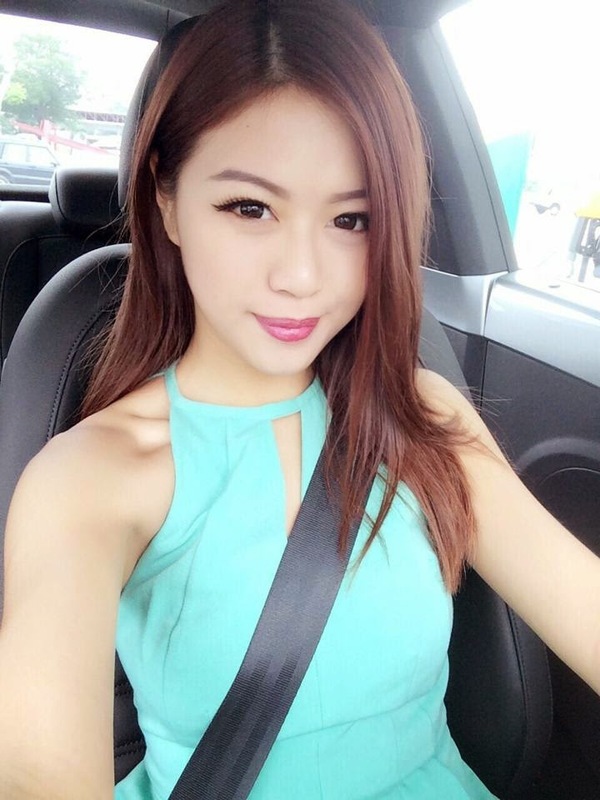 In addition to the anti-theft alarm system, the car comes standard with a 3-point seat belts with seat belt tensioners, safety-optimised front headrests, combined side and thorax airbags (for front passengers), as well as driver and front passenger airbags with front passenger airbag deactivation. This exciting but safe car is also equipped with anti-lock braking system (ABS) with brake assist (BA), electronic stability control (ESC), electronic vehicle immobilisation device, hill-hold control, park distance control (PDC), and childseat anchorage points (ISOFIX). CD player, Bluetooth, USB adapter cable and 8 speakers. The Beetle 1.2l TSI Sport on the other hand is further equipped with the ‘RCD 510’ touch screen radio system with 6 CD changer, USB adapter cable, SD-card slot, Bluetooth and 8 speakers, sport seats with “Vienna” leather upholstery, lumbar support, ‘Climatronic’ air conditioning system with 2-zone temperature control, along with paddle shift and cruise control. At the front, the Beetle comes with Bi-Xenon headlights with LED daytime running lights (1.2l TSI Sport only); electronically adjustable, foldable and heated exterior mirrors; front fog lights with static cornering lights; and 16-inch ‘Whirl’ alloy wheels with 215/60 R16 tyres.The Beetle is currently available in five colour choices: Candy White, Tornado Red, Saturn Yellow, Toffee Brown and Deep Black. Now open for booking at all Volkswagen dealerships in Peninsular Malaysia from 15 August. The Beetle 1.2l TSI Design is priced at RM131,888 and RM142,888 for the 1.2l TSI Sport. From now until 31st October 2014, get any Volkswagen and enjoy five fun-filled years of driving with these five great benefits. 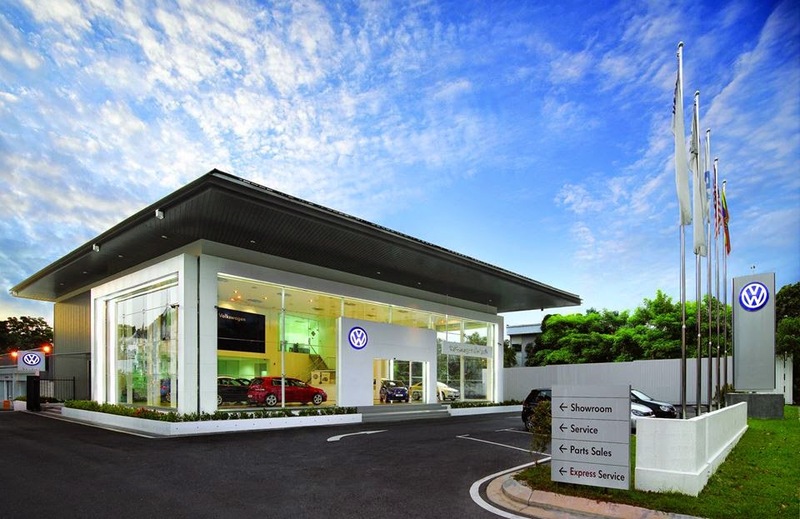 Feel free to visit CNB Auto Volkswagen as they have few branches.